A fresh Spring look can be yours when you enter the Avon Spring Fever Sweepstakes! 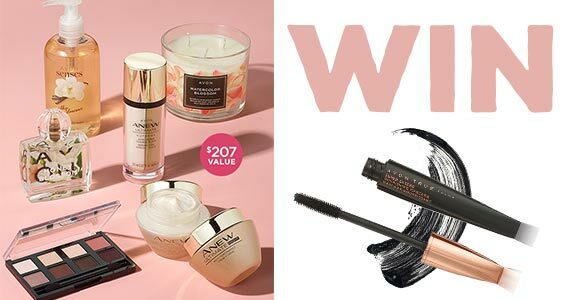 Enter for your chance to win a great prize pack that includes Avon Senses Silky Vanilla Hand Soap, Flourish Honey Blossom Eau de Parfum, True Color 8-in-1 Eyeshadow Palette and more. Click through to enter the giveaway! This sweepstakes ends April 30th, 2019.